When you think of wearables, do you think of man’s best friend? Probably not. But that would have no bearing on the pet wearables market, which is beginning to find its groove. This year’s Consumer Electronics show showcased plenty of wearables for the typical pet — but now, even cows are getting in on the mix. Check out our favorite gadgets for our furry friends, below. FitBark is one of the best-known activity trackers for dogs. It’s a small, bone-shaped piece of technology that snaps right onto a dog’s collar. FitBark tracks the dog’s activity and sends the data either to a smartphone or a small “Base Station” — a small, plugged-in device shaped like a doghouse. The gadget for dogs was funded in 2013 through a Kickstarter campaign. One of the saddest occasions in life is when a pet goes missing. Dogs and cats often have tags with information like addresses and phone numbers, but PetHub has come up with a more sophisticated solution. PetHub’s tags have a QR Code unique to each pet. If someone finds a missing pet, he or she can scan the tag’s QR Code to get the pets information. The owners are notified, as well. 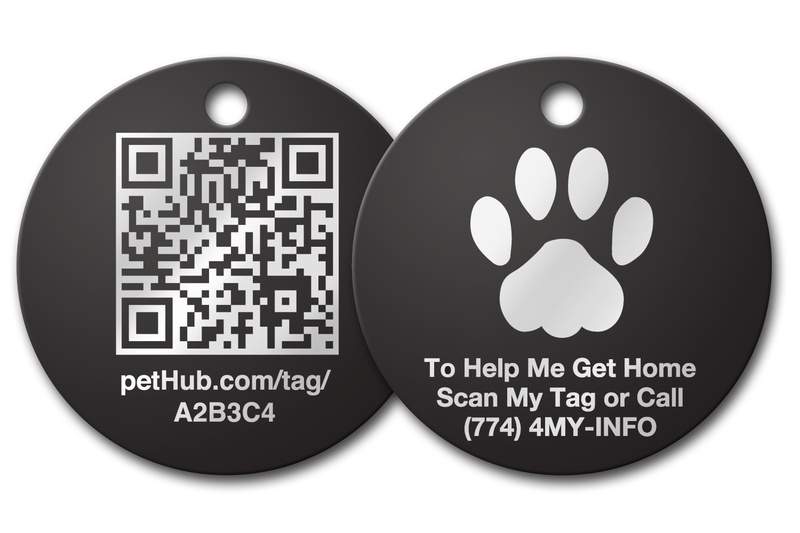 PetHub says 97 percent of pets with their tags return home in less than 24 hours. StickNFind, a sticker with Bluetooth connectivity, has taken off with pet owners who want to keep constant tabs on their animal’s whereabouts. A quarter-sized StickNFind sticker can be placed on a dog or cat’s collar. It has a year-long battery life with a replaceable battery. StickNFind’s smartphone app comes with a “Virtual Leash,” which tells you when your pet has left designated safe zones. Yes, even cows are getting a slice of the wearables pie. A Scottish company called Silent Herdsman created a wireless smart collar for farmers to put on their cattle. 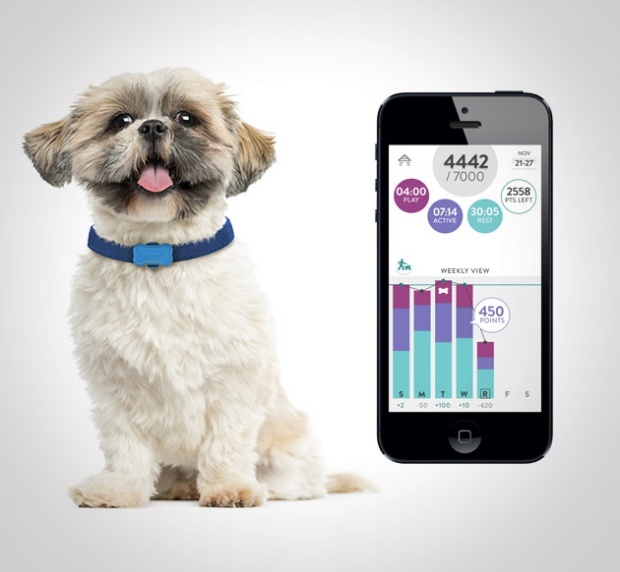 The collar tracks health-related data and monitors temperature. If the collar detects something out of the ordinary, farmers are notified immediately. Silent Herdsman hopes its product leads to healthier, happier animals that can produce more milk. 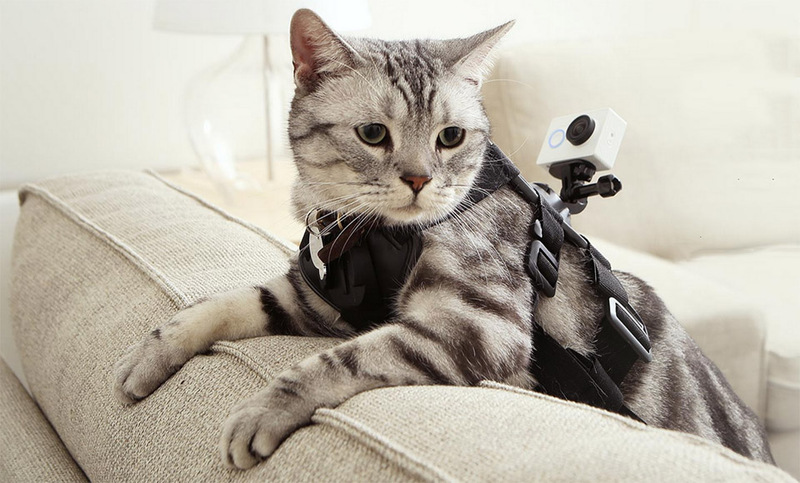 One of the cutest accessories for Xiaomi’s Yi Action Camera is a pet harness. The cheap alternative to GoPro can be placed on an animal’s back so you can record their point of view. The camera itself records HQ 1080P, 60 frames per second video and has 64GB of storage. Unfortunately for American pet owners, Xiaomi only sells their products in their country of China. Still, it’s pretty adorable.